Hello from Elves Headquarters. This little elf has been decorating the house for Christmas. Outdoor lights, Christmas tree, and Christmas plants. Nothing brings Christmas to life like a live Christmas plant. Red poinsettias are the traditional plant of the season, but so many other colors are now available including solid pinks and creams and combinations of those colors in one plant. Please note the little yellow flowers in the center of the poinsettia in the picture above. Yes, those are the flowers, the red "petals" that are distinctive of the poinsettia are actually the bracts or leaves. Do not buy a poinsettia plant unless the center flowers are in it. The plant will last longer if the "flowers" are still there. When bringing this beauty home, wrap it to protect the delicate flowers and leaves from the cold air. Place the plant in a brightly lighted room, not close to a cold window or near a hot fireplace or register. If you leave the foil on the pot, poke a hole in the foil on the bottom of the plant so water will drain through. If the water collects in the foil, the plant will be over-watered and die. Feel the soil before watering. If it's dry, water it. Place a saucer under the plant to catch any water that may flow through the hole in the bottom. Don't let the it sit in water for hours, so dump the excess water out of the saucer after an hour. In Florida, after Christmas, we can plant the poinsettia outdoors after the threat of frost is over. All those years in Michigan we struggled to grow poinsettias in pots, but in Florida they grow like bushes as tall as a man. We always have a poinsettia for Christmas, and this year we have re-instituted the tradition of growing an amaryllis. When the kids were growing up, we always had an amaryllis. Kids love watching them grow. This thick-stemmed flower graces a home with wonder and awe when watching it stretch its long stem elevating the bud above the pot. The lily-like flower opens into a large blossom and stands tall in all its glory. I am amazed every year at this miracle. From a dry bulb to an elegant, graceful bloom. It reminds me of the wonder and miracle of Baby Jesus birth at Christmas. I have taken pictures to give you an idea of how quickly this plant grows. I'll update you when "Amy" blooms in all her true beauty. Yes, the amaryllis is always named Amy. Taken the day after Thanksgiving November 28 breaking out of the bulb. Taken December 6 shooting up in the air growing almost an inch a day! Just a few Merry Christmas tips for you. I hope they help. What do you think of poinsettias that are not the traditional red color? Leave a comment below. We love to hear from you. Speaking of Christmas. Check out my Christmas short story based on characters in my novella, Sunshine Boulevard. Delightful Short Story--I wouldn't have believed that a retirement community in Florida would be a fascinating setting, with intriguing and fun characters. But J.Q. Rose's short story delivers exactly that--I also believe it is an excellent taste of her mystery novel, Sunshine Boulevard, with the same setting and characters, and if so, I'm certainly off to read Sunshine Boulevard! More, please. 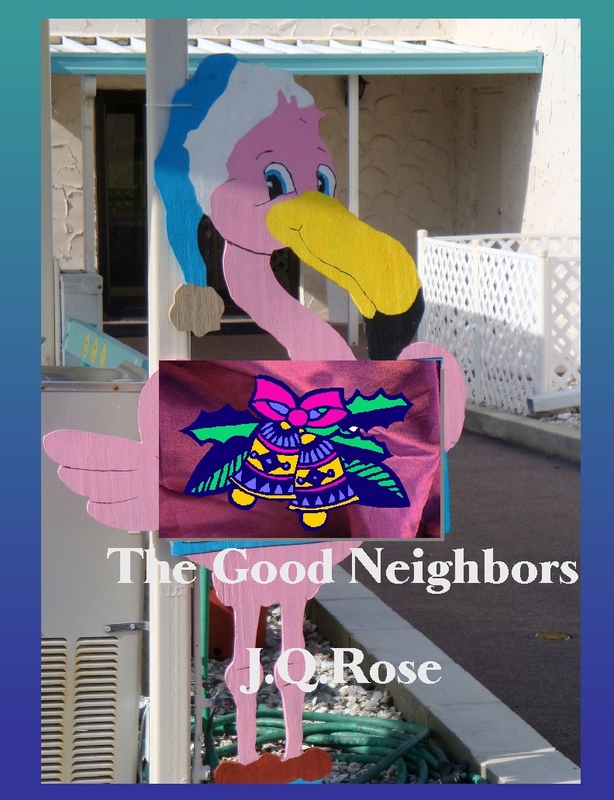 The Good Neighbors is available at Amazon for 99 cents! PS--Sunshine Boulevard was chosen to be bundled together with three other mysteries from MuseItUp Publishing. The bundle of books is called, Sirens on Death, Starke Boulevard. A lot of great reading for only $1.99. Hurry and get yours at MuseItUpPublishing, amazon and major online booksellers. 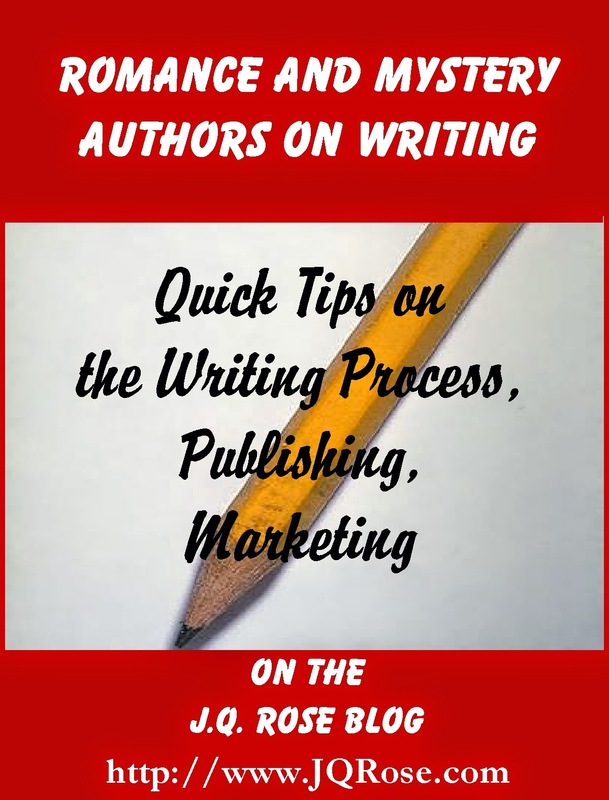 Thursday, December 11--Humorous suspense author Kathy McIntosh shares her writing tips on editing and more on the Romance and Mystery Authors on Writing series. Kathy is generously donating an ebook copy and audio book of her first book, Mustard's Last Stand, in the Havoc in Hancock humorous suspense series for door prizes. Two winners! clearly I've never looked closely enough at a poinsettia because I had thought the leaves were the petals. Thanks so much for the timely tips. Lynda, you are very welcome. Hope you got the tips in time I hope, to pick out a fresh plant. Thanks so much for the tip, JQ. I love poinsettias, and it's a tradition here in the UK, too, to have them at Christmas. I've never grown my own amaryllis, but now I'm going to give it a try. Great post, thank you! Helena, Interesting you have poinsettias in the UK. The ambassador to Mexico, Joel Poinsett, introduced the plant to the U.S.in the 1820's--yes, I googled for the answer to that question. You'll get hooked on the amaryllis. In most of Florida, the climate isn't conducive to grow spring flowering plants like daffs, tulips, etc. But the amaryllis grows well here. In the spring, instead of daffs, amaryllis come up and they are gorgeous.Not sure if they do in Southern, more tropical Florida. I have never seen them in yards in MI. The bulb probably isn't hardy enough. 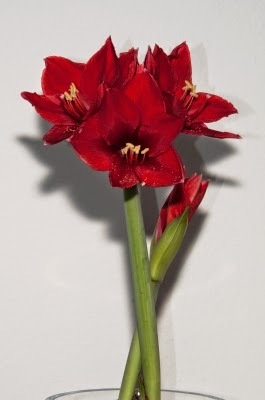 J Q, thanks for the tips about poinsettias and amaryllis. I always thought the flowers of the poinsettias were the red leaves. Merry Christmas to you and your family! Thank you so much for this post, Janet. I bought two and they had the flowers in the centre. But I'm keeping one on the patio table and one in the dining room where the air conditioner blows on it. Both look good, still, I wasn't sure so I've been mixing them up and having them change positions. It's never colder outside than 25 C. However, I was watering them too much. Which is dumb considering how much moisture there is in the air. Suzanne, you're not the only one who thought the red leaves were the flowers. That's not so bad, but I hate it when I see hundreds of poinsettias in a large box store and there are no flowers in the center of the plant. They deteriorate so quickly in a store like that unless you buy the plant when they first arrive. Hi Joylene, You certainly have the holiday spirit. My first thought was, your air conditioner is on in December in freezing cold Canada? LOL...Good idea to switch the plants. I doubt the AC blows hard enough or long enough to damage the plant. Now if it were the heat, that could do it. Enjoy the beauty of the poinsettias! Are they traditional red? Thanks, Anna. I wish I had thought to post it sooner! I need to hang out with you more. I have such a knack for killing plants, it's pathetic. Or if I manage to keep them alive, my cat eats them. Congrats on your new short story and the boxed set!